Being eco-aware and saving energy, in general, is something that each household should actively strive for. Even if you don’t think of yourself as “a tree hugger,” it would be nice to decrease the amount you spent each month on electricity. 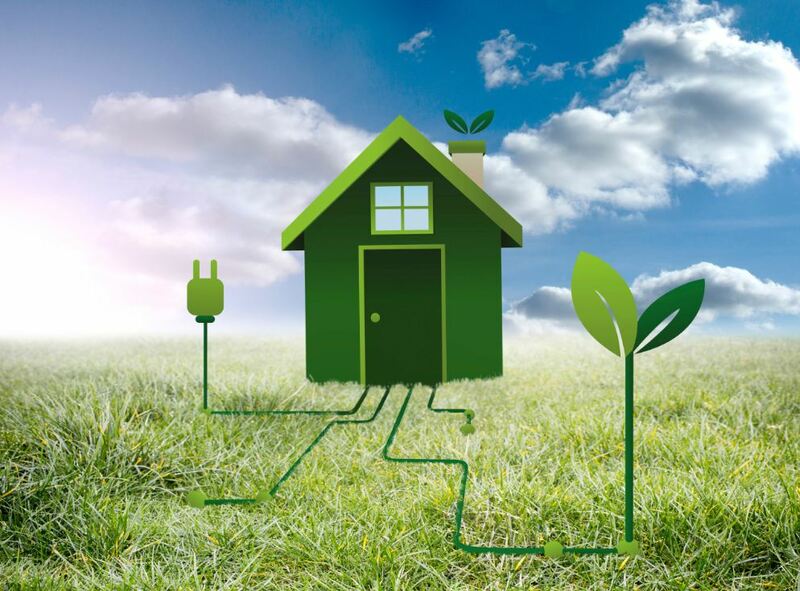 An energy-efficient home is beneficial both for the environment and your wallet, so there is no reason not to put into action these several simple tips on how to save energy in your home. Heating is a major item on the utility bill and although it is impossible to get rid of it during the winter months, it can be cut down. Namely, during night time there is no reason for your house to be as warm as it was during the day. Installing a smart thermostat that will decrease the air temperature can help save a lot of energy. We are not arguing that the temperature should be sub-zero but merely cool enough to allow for a good night’s sleep. Just program the thermostat to the desired night temperature and you need not worry about waking up to a warmed up room. If you are ready to invest in energy efficiency, then solar panels are arguably the best way to cut your monthly bills at least in half. Admittedly, they cost money to install but once on the roof, they will start generating electricity that can satisfy your household’s need for electricity. After a few years, the initial investment will pay off, your utility bills will go down, and ideally, you could start selling the excess power if there is such an energy trading scheme in your neighborhood. Lighting may not be a major consumer but it is responsible for creating the right atmosphere inside the house. That is why replacing old Edison light bulbs with LED lights will introduce a huge change in your home. The latter use up to 90% less energy than incandescent lights because they use power on emitting light, not heating themselves up like the old, inefficient light bulbs. They are eco-friendly, last up to ten times longer, and come in all shapes and sizes as produced by Azoogi led lighting so they are bound to aesthetically fit into your home’s décor. Another important issue in making your home energy efficient is preventing the energy from escaping. This occurs through the roof, walls, and the floor. The latter is perhaps the most important area to insulate because you don’t want to spend money on warming up the basement that you don’t use. There are several ways how to insulate and protect the floor but hardwood flooring and a carpet are the most used method. Another neat solution is installing underfloor heating that will turn your floors into a heat source, enabling you to walk barefoot around the house. There is no need to turn your home into a recycling plant as there are other ways how home recycling can save energy. Firstly, you can adopt the habit of reusing things instead of throwing them away. An old car tire can be used to make a backyard swing or a flower pot. Secondly, you can start collecting recyclables as electronics and dispose of them in an eco-friendly manner. This form of waste contains toxic materials such as mercury, lead, arsenic, and cadmium, which can harm the environment and are a potential source of various health problems for humans and animals alike. Saving energy in your household is a process that has only positive sides to it. Whether it is a cleaner environment for your family to live in or lower utility bills, you are the one benefiting the most from an energy-efficient home.